Several surveys have shown that the name you give your child is important in life. 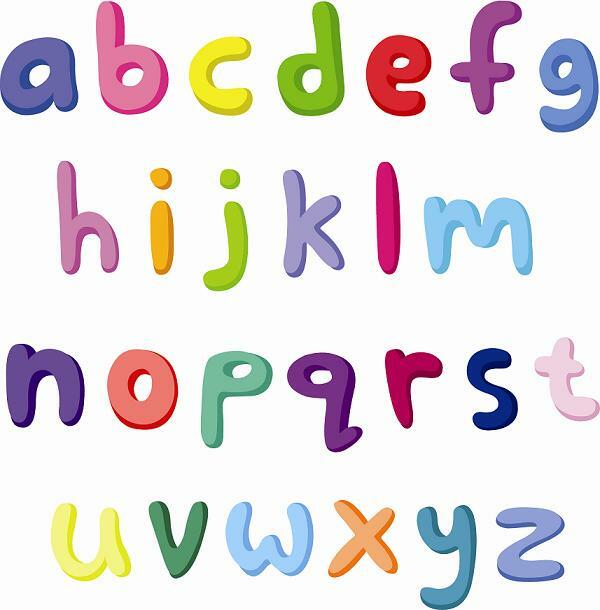 Evidence suggests that children whose first names start with letters that are in the first half of the alphabet or better still, right near the start of the alphabet perform better in school and go on to have careers with higher levels of income. If you want your business to be a high flyer rather than an under-achiever then perhaps the same principles should be kept in mind when choosing business names. A quick look at the Top 100 Fortune 500 companies and indeed other smaller but high profile organizations will reveal that here too there are more successful businesses with first names having letters early in the alphabet than there are with names starting with later letters of the alphabet. The reasons for this like those of children’s names are quite complex. Some of it simply comes down to the fact that if your company is listed under the letter A or B for example, you will be found much easier and quicker than those under U or W.
Having business names that start with a later letter does not mean it can’t be successful as the CEO of Walmart will be the first to tell you. However for every Twitter, there are several Amazons, Apples Ciscos, Dells, Facebooks, Intels and IBMS. It’s not just in the new digital medium where the early letters hold sway. Exxon is the largest U.S. company. Boeing is the largest airplane manufacturer; FedEx is the highest valued organization in its sector. There are numerous other high profile businesses including Caterpillar, Citigroup and Coca-Cola. This shouldn’t stop you from choosing the name that you feel is correct for you and your business but perhaps it is something that you should bear in mind. As all of our imaginative writers at Name My Blank they can come up with a catchy name whatever your guide-lines and letters of choice. Most of their business names will probably start off with an early letter in the alphabet too. As always, whatever the results of our company name generator, you are in control and choose the very best name that our writers have to offer. What are you waiting for? You’ve got a great business idea, now come to us and we’ll find you unbeatable business names. Business names come in all shapes and sizes. They range from basic to bizarre, and from in the dictionary to completely made up. One business, however successfully crossed the bridge from completely made up and landed a spot in Webster’s dictionary. Google, is a term used so often that we incorporate it into our everyday speech. Don’t know the answer? Google it. Where’d you find that name? Oh I just Googled it. You don’t hear people saying that they Yahooed it, which is how much of an impact business names can have on a company. But what is a Google? Besides it being the name of a search engine, a Google is not a person, place or thing. Business name ideas can come from something as simple as a math equation. Any idea what a googol is? It’s 1.0 X 10100. Google, Inc. has stated: “Google’s use of the term [Google] reflects the company’s mission to organize the immense, seemingly infinite amount of information available on the web. They reworked a term that represented the company and its purpose and turned it into a sensation. Need great business name ideas? Just Google it! You’ll find our company name generator, NameMyBlank, and all its great writers waiting for you! A business name generator can be the prefect tool for coming up with a suitable business name. Business name ideas don’t spring up overnight, and perhaps it’s better left to the amazing writers at NameMyBlank. Popular business names sometimes seem like they come out of nowhere. They sometimes use interesting words that don’t even exist in the dictionary, which cause you to wonder where they came from. Family, locations, ingredients, inside jokes, or random encounters can serve as inspiration for business names. Even some popular names seem to have no rhyme or reason, but maybe that’s a part of what makes them so appealing. Bob’s Auto Parts just doesn’t sound as good as the name Tire Kingdom does. Ever heard of Brad’s Drink? No? Perhaps because it was renamed to Pepsi in 1898. Caleb Bradham was a pharmacist that created his own sodas for the soda fountain in his shop. Brad’s Drink consisted of carbonated water, sugar, vanilla, rare oils, cola nuts, and wait for it … pepsin! 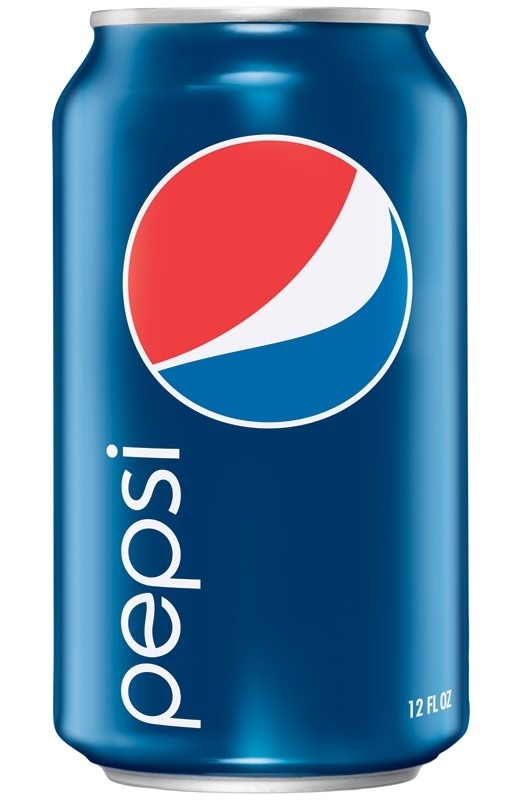 You guessed it; the name Pepsi Cola came from the two ingredients in the drink, pepsin and cola nuts. While pepsin is an enzyme used for digestion, the ingredient “pepsin” in Bradham’s drink was believed to help aid digestion in the same way. So a part of what the product was later became the name that millions of people recognize around the world. Inspiration for business names can come even with the smallest ingredient. Find great business name ideas here at NameMyBlank, where it doesn’t matter if you’re a big time business or a small time brand like Brad’s Drink. Back in the day people didn’t have the luxury of a business name generator. Yes indeed, they had to come up with the names themselves. Some companies have been around for so long that some people don’t understand where the name has come from, or perhaps the name had changed multiple times over the years. With business names, there has to be reasoning behind them, right? Some are just so bizarre that it has you questioning where the name comes from. But maybe that’s the point. Clarence Saunders was the founder of Piggly Wiggly, the grocery store. We all probably had that moment when we first learned as a child that someone named a grocery store Piggly Wiggly and giggled. It’s a name that makes you laugh, and a name that makes you wonder “why?” Saunders, however, created a mystery surrounding the name. He was reluctant to explain the origin of the name, but one story is based around when he saw a few little pigs struggling to get under a fence from his train window. That is when he claims the rhyming name occurred to him. Someone posed the question why he had chosen such an unusual name and his reply was, “So people will ask that very question.” He knew that an ambiguous name would create attention and be something that people would talk about, and better yet, remember. Business name ideas aren’t the easiest things to come up with, sometimes you need inspiration like piggies in a fence. But not only do you want your name to be remembered, you also want it to represent you. What Piggly or Wiggly has to do with groceries, we have no idea, but the name is fun and represents Saunders as the innovative and colorful person he was. Business names shouldn’t discourage you, that’s what a company name generator is for! We’ll help you come up with a name that will surely be remembered. Naming a business can be something of a minefield with not only things to get right but a lot to avoid getting wrong. Here are some of the easy mistakes to avoid when creating a new business name. When forced to come up with a catchy name, many new business owners take part of an adjective and stick it onto a noun, essentially colliding the two words head on to create a new word. The results are names that have a certain rationale to them, but look and sound awful. It’s a bit like mixing pizza and ice-cream, both are fine on their own but mixing them together isn’t to everyone’s taste. The common train crash approach to company names can involve the neo-words Ameri, Tech, Corp and Tron. If the resulting name looks like it is forced, then that’s because it probably is. Avoid using words so generic that they don’t stand out. It’s more important than ever to highlight your uniqueness if you are working in a niche industry. It makes you memorable and helps your brand recognition when advertising. Whereas traditional companies more often than not had boring names such as General Motors, this can only work well if you are the first and only industry in your sector. That is why Amazon picked a unique and catchy name rather than just General Bookstore Inc. Ensure your business names are not a cliché. Instead if simply going for one of the many overly used metaphors that imply that they are the best in their industry such as Pinnacle, Gold or Apex, try going for a name that combines metaphor with positive sounding words. Castle Anti-Virus for example tells customers both the industry which they are in whilst the word ‘Castle’ gives the impression of strength and security which is essential for online protection. Avoid the use of obscure or technical words in your business names. While it is great if you can find a name that has special significance for you and your customers, don’t pick a name that is too obscure. You might be number one but having a slogan in Latin telling everybody that you are will only leave customers feeling puzzled no matter how pleased you are with it. Having previously selected a business name and realizing it isn’t working but doing nothing about it is probably the worst thing you can do as a new business owner. Many business owners know they have a problem with their name and just hope it will somehow magically resolve itself however this approach is only ever harming your organization. There is no shame in changing a business name that isn’t working. Picking successful business names does not necessarily involve the same skills that are required to successfully run that business. If your name isn’t working then change it, otherwise your business will never realize its full potential. Naming a business is one of the most important things that a new business owner has to do but sadly it is also probably very first decision that you will have to make after deciding you are going into business. One possibility when naming your business is to incorporate the of a geographic location such as your town. In an ideal and rational world a company with a strong product or service, or one with a niche idea could expect to be successful from the start; however as strong product is the only the starting point to having a successful business that can make you a profit. You have to demonstrate in as quick and simple way as possible how your potential customers can benefit using your business instead of one of your competitors. Business names are the first thing that any potential buyer is going to notice so in some ways it is more important than your sales pitch, promotional materials or even your end product. The best product in the world is of little use if customers are looking elsewhere because your rivals appear more attractive. Business names are the first point of contact between your business and your customers. At this early level it is also the only differentiation between you and your competitors. In the modern world customers make instant judgments on where they want to spend their cash. It is essential that your business name sends the right message. Depending on the business sector that your new organization will be operating in, it is worth considering incorporating your geographic location into business names. This is because customers associate such firms with strong local roots and a friendly approach to the public. If your business is selling across a city or state then something like Denver Auto Rentals implies that if a traveler needs a car in Denver then this name differentiates itself from others. If you are planning on opening a Deli serving purely local customers then it is appropriate to use a more local sounding name such as Church Street Deli or East Side Bakers. The same principle works right up to the highest levels in areas such as airlines. No-one can be in any doubt where American Airlines, British Airways and Korean Air are based. It all depends what your business is selling and what marketplace you aim to serve. Either way for business name ideas should be snappy and original whilst clearly informing customers what your business does. Customers should be drawn to a name that stands out from the crowd but using a geographic location also can give a feeling of trustworthiness and responsibility. One of the considerations when naming a business is about trade marking it. The good news is if you are reading this in the U.S, Canada or Great Britain then your business automatically gains its trademark simply by way of you using the company name in relation to your business. Bearing this in mind, you might wonder why people worry about trademarks at all. Like other aspects of naming your business, it all comes down to forward planning and thinking ahead. Your business trademark rights only extend as far as its geographic operations so if you ever intend to expand your business to other states or even internationally. It is a good idea to check out that proposed business names have not already been trademarked elsewhere. There have been several examples of even multi-national corporations becoming involved in massive lawsuits because as they expanded, they tried to take their already trademarked name with them into new territories. A trademark typically lasts 5 or 10 years after which the owner has to renew it before it becomes free for anyone to use and if a trademark is taken to court then it will be judged on the likely confusion caused by the two organizations. Are the goods being sold similar? Do the trademarks have the same or similar meaning? There are five levels of trademark the strongest of those are fanciful trademarks. These are business names have been totally made up and which had no meaning before they were used as trademarks. For a good example of this think Google. The next most secure type of trademark is an arbitrary trademark. These trademarks consist of commonly used English words being used as business names in a context that has no bearing on the services or products they are being applied to. For example it would be impossible to trademark the word Orange with regards to fruit but in the world of mobile telecommunications Orange has a very strong trademark. The third type is that of suggestive trademarks and these indirectly have reference to the types of services and goods which they are associated with. An example of this is the business name Burger King which with just a small amount of imagination from customers infers their burgers are the biggest or best. Descriptive trademarks are the fourth type and they are difficult to trademark. Success depends on being able to prove that consumers associate the goods and services only with one company. It is probably best to avoid such business names if you are just starting out or else it may be a brand name that cannot be legally protected. Finally there are Generic Trademarks which are not in any way enforceable primarily because they describe a whole sector of goods and services. Try selling a line of carpets under the trademark of carpet and you won’t get very far. Once again this all proves that it is worth thinking ahead and placing a bit of effort with your business name ideas. Every now and then companies decide the time is right to rename themselves as part of a re-branding process. Sometimes it is because of a major mistake in terms of product or policy, but sometimes it can be just because the initial business name doesn’t have the necessary weight behind it. Whilst obviously no-one wants to go through such a fundamental re-branding process without good reason, many organizations worry unnecessarily about the equity that their business names carry. Unless your business name has a long standing and positive historical image then the chances are if you have already come to the conclusion that a new business name is required then it is going to be the right move. Any detrimental effects such as brand confusion is likely to be extremely short lived and the longer term positives of starting a fresh should mean these are soon forgotten. One common reason why smaller businesses in particularly decide to rename their organization is because they initially named their business after themselves. Though naming your business after yourself might sound nice to you, the owner, it does give the impression that your business is a one-person show which isn’t necessarily what corporate customers are looking for. Your name means not a lot to anyone except your family and by deciding upon another name by holding a business naming contest, for example, will help differentiate your company from you. It will also help in the future if you ever decide to sell your business. You need to pick a company name which isn’t going to limit your future company’s growth potential . Don’t pigeonhole yourself. It’s far too easy for business owners and especially new business owners to get carried away with the excitement of the process that they concentrate on very function, literal and descriptive names. A good way to avoid many of these problems is to hold a naming contest to decide upon business names whether you are opening a new business or re-branding your organization. By offering a prize, you will encourage a whole load of creative people to come up with an innovative name which will make you company branding so much easier too. It’s important not to fall into the trap of simply using a business name generator as these are simple computer codes that put words together without having feeling or appreciation of what a name means or how important it is to your customers, old and new. Wondering what to call your new start-up business is the first difficult decision many entrepreneurs have to make. Regardless of what industry you are working in, many of the considerations you face in deciding on a name are universal to all new organizations. First of all remember that you are naming a business. You’re not naming your baby or pet so choose appropriate names. Consider what you want your business names to say about your new company and whether the proposed name actually does this. Test out your proposed name with friends and family or even conduct some market research on the street but don’t hesitate, if in doubt go with gut feeling. When thinking through your business name ideas, you have to decide whether you are going to use your surname or an invented word or simply an industrial term. When deciding, bear in mind how it will look when written down and also how it will sound when spoken. If you are going to pick an industry related term then make sure that it is not too obscure or pedantic. Unless your proposed customer base is from a very specific and narrow area of industry then it is best not to pick something that is confusing or simply a mystery to the general public. A basic to keep in mind and yet one that is often forgotten, do check that you can legally use the proposed business names. This is doubly important if you are about to register websites or order expensive company fliers and promotional materials. Check that your name isn’t too similar to any other, not just to avoid litigation but also because you want your new company name to be recognizable. If there are five organizations with a similar name, are you sure that you will still get to number one with search engines? If not, then perhaps it is time to think again. Check any name that you get through a naming contest to see if somebody else has copyrighted the name. That way you won’t be faced with costly legal bills. Finally when naming a business, or using a business name generator you have to consider the long term. Is your name going to be timeless and long lasting or is it going to be modern, trendy and out of date before you’ve completed your first order. What you think of as being really cool might look stupid to your customers or at least a gimmick. Picking the wrong name means that you are left picking up the pieces, it is a lot easier to pick the right name from the start than having to go through a painful re-branding process later on. While choosing new business names can be tricky, finding one that is attention grabbing yet not treading on the toes of existing organizations is even more difficult, there is a relatively easy solution to this and that is to create your own business name. Creating or coining business names isn’t popular with everyone and though it can have its own pitfalls, it does have many distinct advantages too. Business names that are descriptive sounding are often more popular amongst small organizations whose lack of budget mean that their name has to instantly tell the message of what it is they are doing. This is especially so in traditional industries. However for new businesses and particularly design and tech firms, coining a name might be a good way to come up with a unique identity. 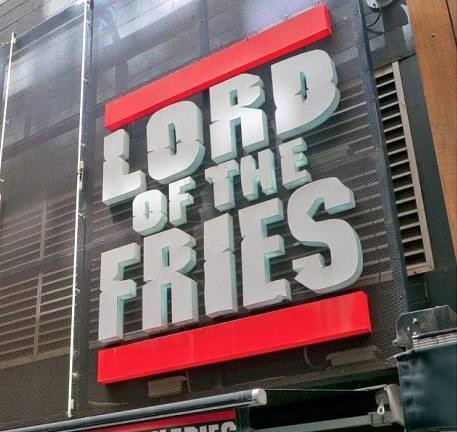 Making up a word when you are naming your business instantly establishes your company as a new brand. Some famous web corporations including Youtube, Google and Ebay have coined words as their business names and these names simply did not exist before these companies came into existence. Their distinctiveness means that they are very easy for customers to remember. The trick for new start-up businesses is to make sure that when customers have a requirement, they think of your coined name as their solution. A great advantage of coining a name is that it gives your company a lot of flexibility over future business direction. Should you choose a name of “Sarah’s Flower Shop” then this is fine if you only sell flowers but what happens in two years’ time if you want to start selling glasshouses or fresh farmed produce then you may find that the business name is inappropriate or incorrect for your new product lines. However a coined name such as “Greenfingers” is much more flexible. Another advantage of coining a name is that there are fewer issues with trademarks and unnecessary litigation. If you have just coined a new word as your business name, it is highly unlikely that anyone else has already trademarked it. There are no right or wrong answers when deciding whether you should go for a descriptive name or a coined name. Try setting up naming contests to find both today and choose the one that sounds best. Both options can be a great choice depending on your business plan and industry. However if can forward plan and have a flexible business attitude then when you’re naming a business, coining your new business name might just be the right choice for you!